Farshadfar, E., Kazemi, Z., Yaghotipoor, A. (2013). Estimation of Combining Ability and Gene Action for Agro-Morphological Characters of Rapeseed (Brassica Napus L.) Using Line×Tester Mating Design. 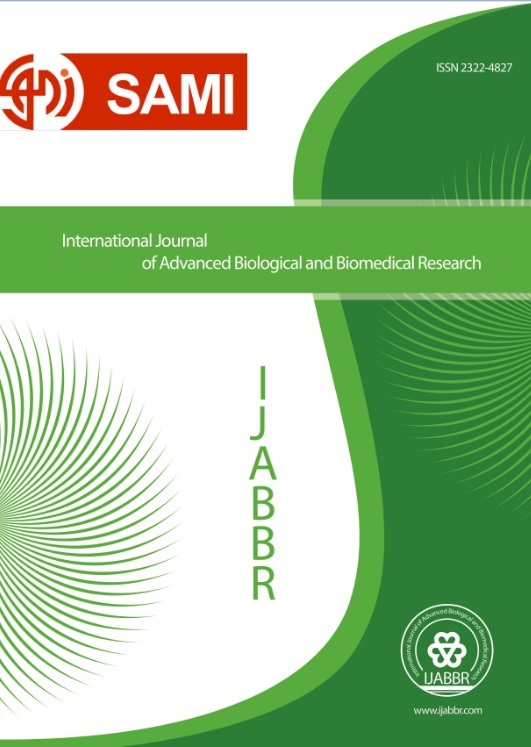 International Journal of Advanced Biological and Biomedical Research, 1(7), 711-717. Ezatollah Farshadfar; Zeinab Kazemi; Anita Yaghotipoor. "Estimation of Combining Ability and Gene Action for Agro-Morphological Characters of Rapeseed (Brassica Napus L.) Using Line×Tester Mating Design". International Journal of Advanced Biological and Biomedical Research, 1, 7, 2013, 711-717. Farshadfar, E., Kazemi, Z., Yaghotipoor, A. (2013). 'Estimation of Combining Ability and Gene Action for Agro-Morphological Characters of Rapeseed (Brassica Napus L.) Using Line×Tester Mating Design', International Journal of Advanced Biological and Biomedical Research, 1(7), pp. 711-717. Farshadfar, E., Kazemi, Z., Yaghotipoor, A. Estimation of Combining Ability and Gene Action for Agro-Morphological Characters of Rapeseed (Brassica Napus L.) Using Line×Tester Mating Design. International Journal of Advanced Biological and Biomedical Research, 2013; 1(7): 711-717.